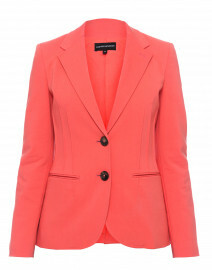 Max Mara offers a contemporary approach to tailored separates. 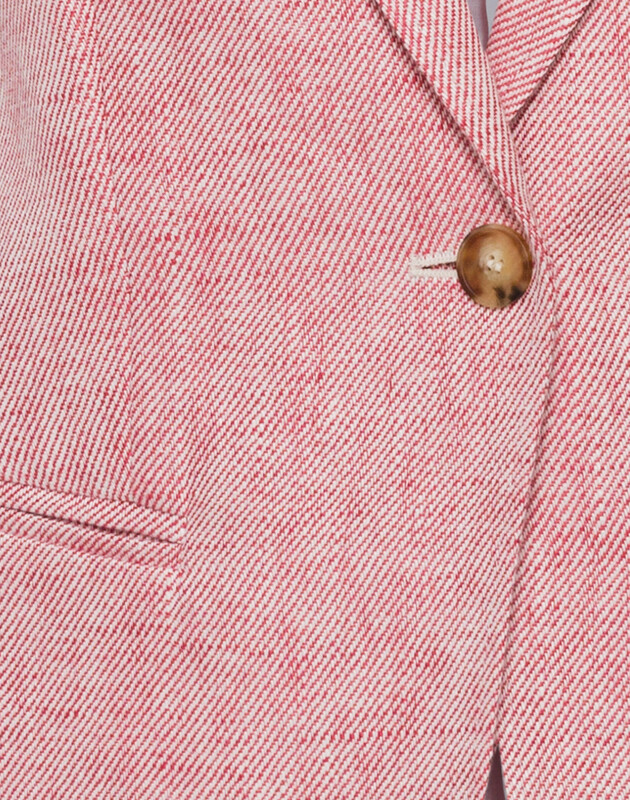 Tailored in Italy from lightweight linen fabric and woven with a bicolor weave, the Harley jacket is the perfect spring layer. 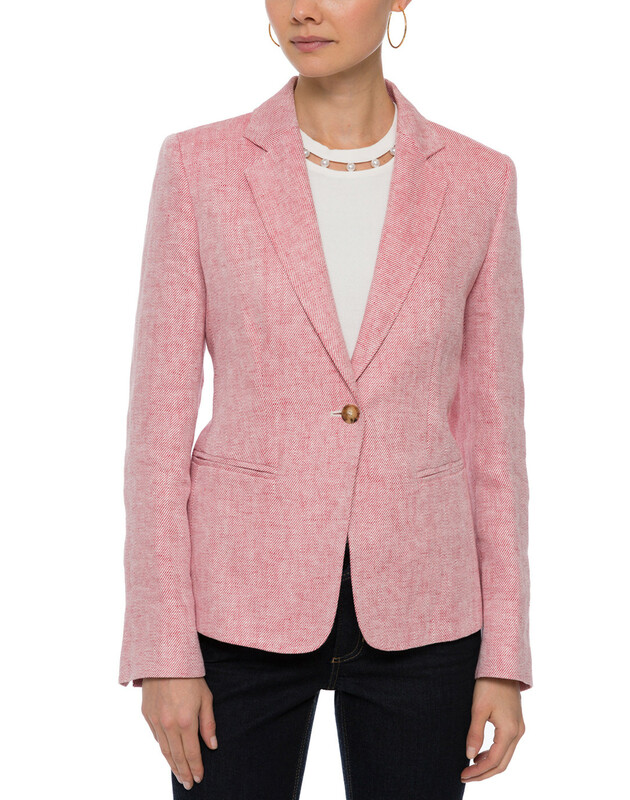 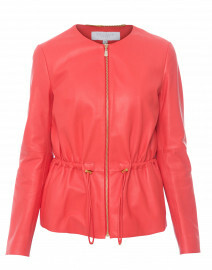 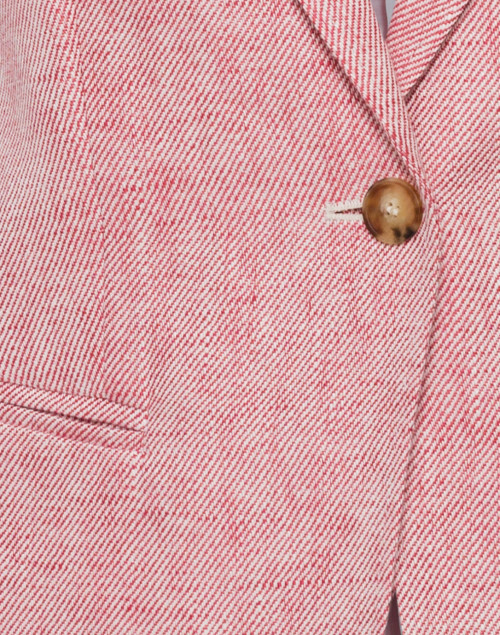 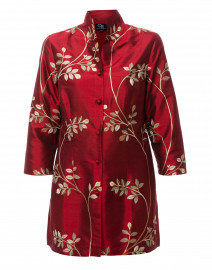 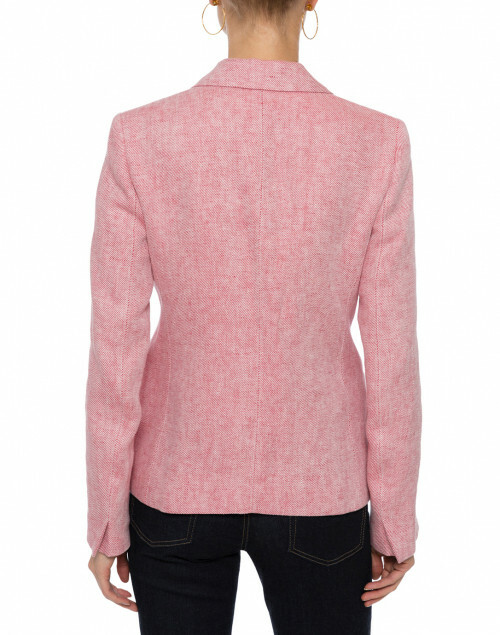 This red and white hued piece is shaped with a single button closure, notch lapels, and welt pockets. 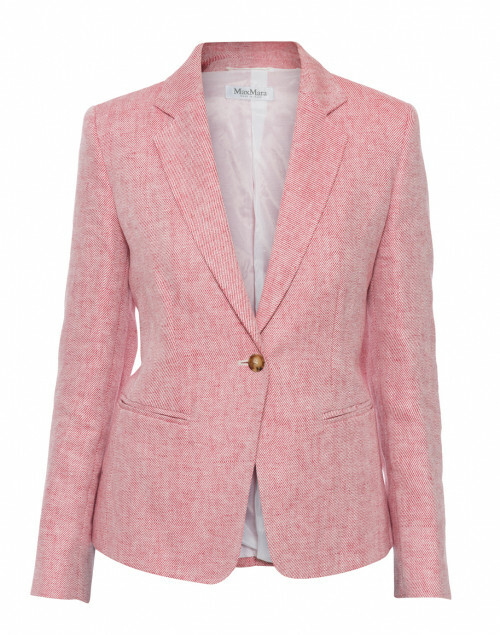 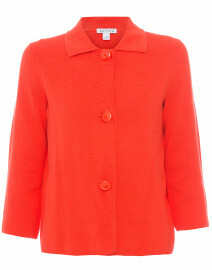 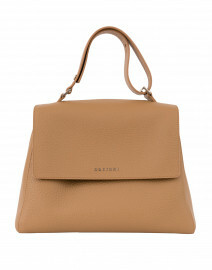 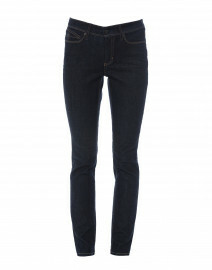 Pair it with slim trousers and muted accessories for a sophisticated ensemble. Length 25" 25" 25" 25.5" 26"
Bust 36" 37" 38" 39" 40"
Waist 34" 35" 36" 37" 38"
Slit Length 2.5" 2.5" 2.5" 2.5" 2.5"